Death* Alice Viola Smith died on 9 December 2014 in Brandon Regional Health Centre, Brandon, Manitoba, Canada, at age 94; It is with great sadness the family of Alice Viola Johnston, announce her passing at the Brandon Regional Health Centre on Tuesday, December 9, 2014.
was born to John and Rachel Smith in 1920 in the Crandall area. 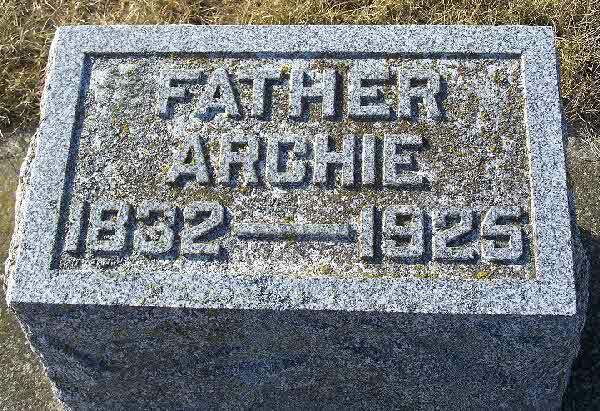 Alice married Garnet Johnston in 1939 and they farmed in the Crandall area for many years raising their five children. She was a devoted mother, grandmother and great grandmother. Alice took great pride in her garden, canning most of the produce. moving to Brandon, Alice worked at the Brandon General Hospital as a nurse's aide for twenty years, mainly on the obstetrics floor. She enjoyed scrabble, 500, bowling, bingo, golfing and doing crossword and jigsaw puzzles. was predeceased by son Herb, three brothers, four sisters and special friend Ron Griffin. 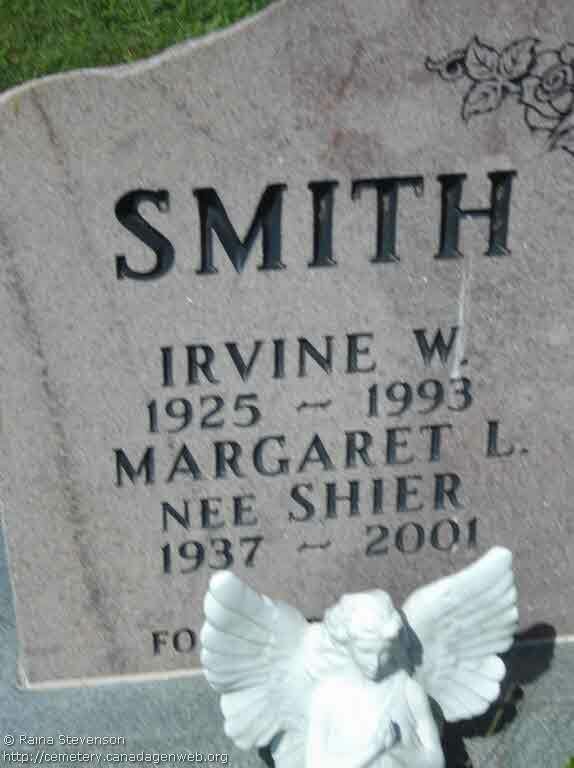 will be deeply missed by her children Dennis (Helen), Lawrie, Jack and Lois Anne; eight grandchildren; seventeen great grandchildren and sisters Olive Smith and Velma Smith. 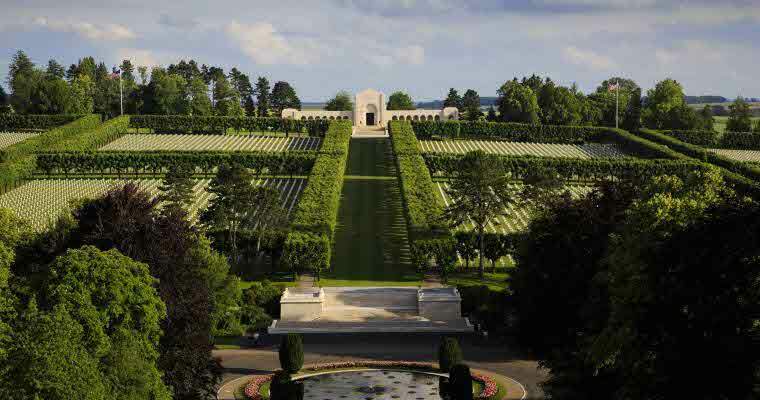 graveside service will take place in the spring at Crandall Cemetery. friends wish, donations in Alice's memory may be made to a charity of choice. 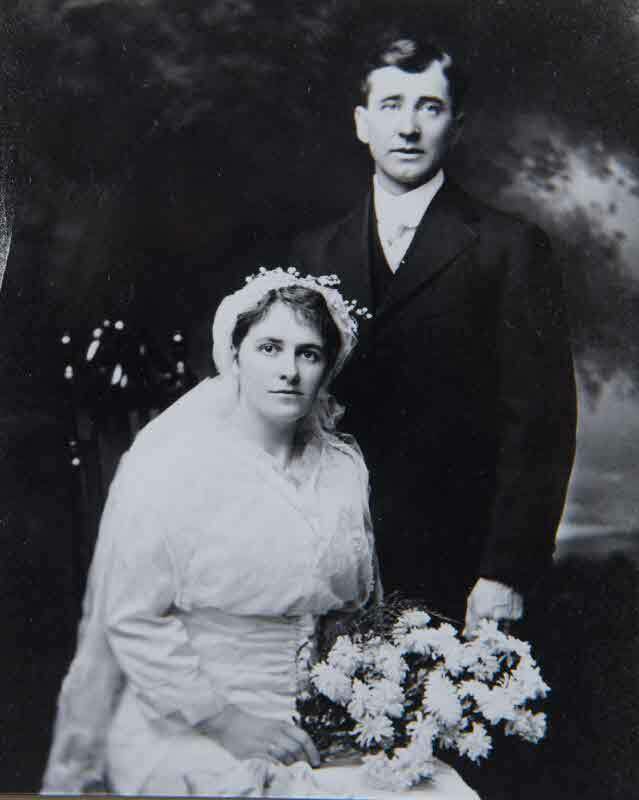 Marriage* Alonzo Smith married Mary Jarvis on 28 November 1892 in Bellaire, Antrim County, Michigan, United States. 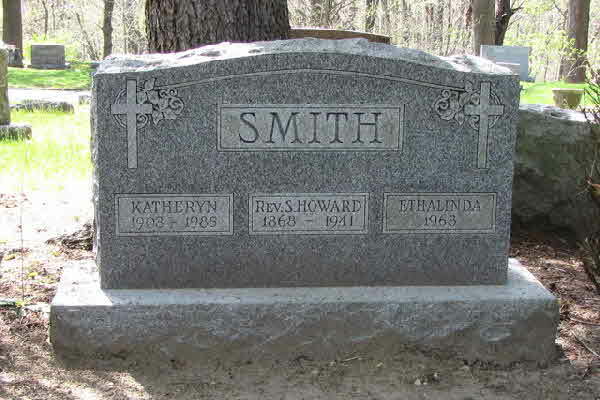 Death* Anne Smith died on 25 June 1878 in Brock Twp., Ontario County, Ontario, Canada. Burial* She was buried in St. John Cemetery, Brock Twp, Ontario County, Ontario, Canada. 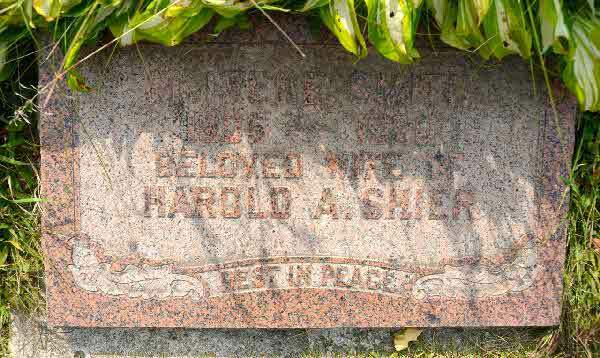 Burial* He was buried in Bingham Twp., Ubly, Huron County, Michigan, United States. 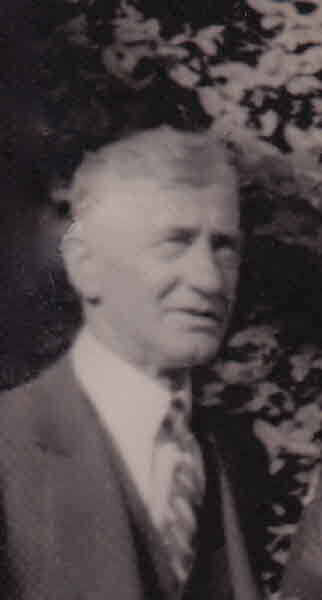 Marriage* She married Julius Christopher Shier, son of Jacob Shier and Catherine Rynard, on 12 March 1927 in Toronto, York County, Ontario, Canada. 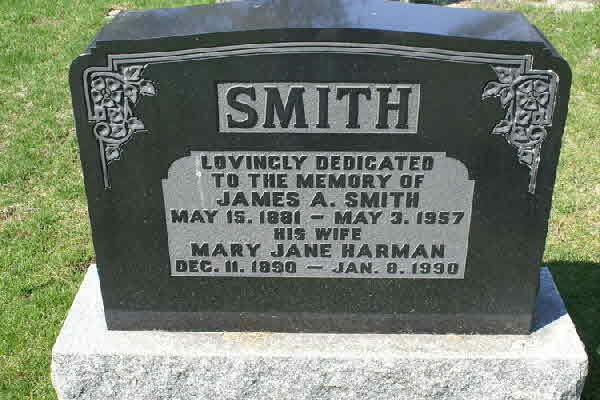 Death* Bessie Smith died on 24 September 1945 in St. Joseph Hospital, Toronto, York County, Ontario, Canada, at age 68. 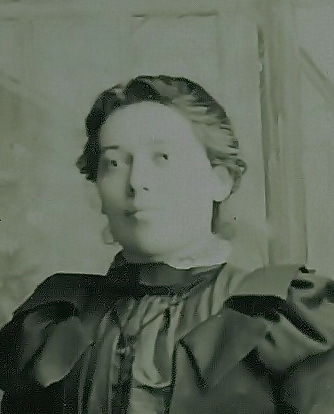 Marriage* She married George Speiran, son of Charles Speiran and Sarah Carson Moore, on 3 February 1904. 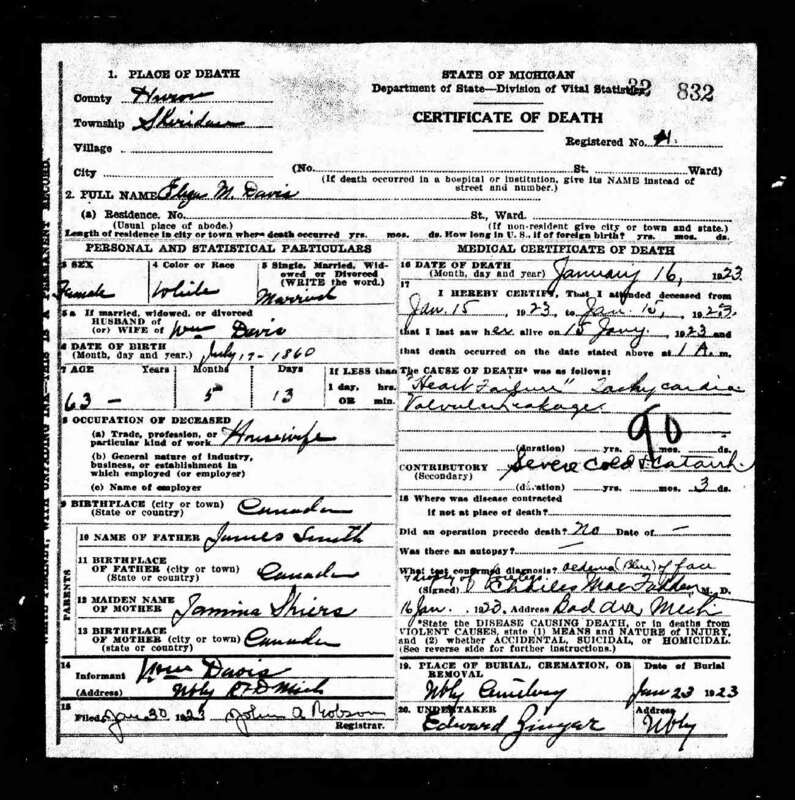 [S42] Michigan Births and Christinings Index 1867 - 1911, online \. 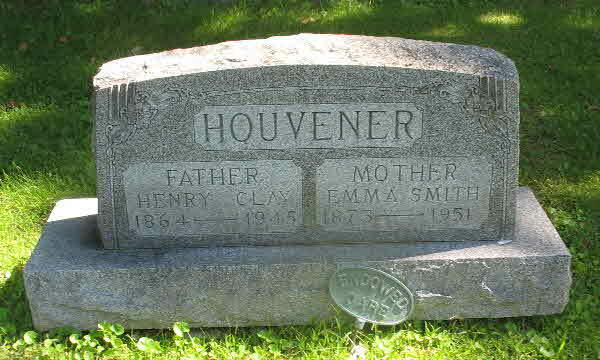 [S1] Ancestry.ca, online \Ancestry.ca\, Houvener-Malecha Family Tree. Hereinafter cited as Ancestry.ca. Burial* He was buried in Sandford Cemetery, Scott Twp., Sandford, Ontario County, Ontario, Canada. 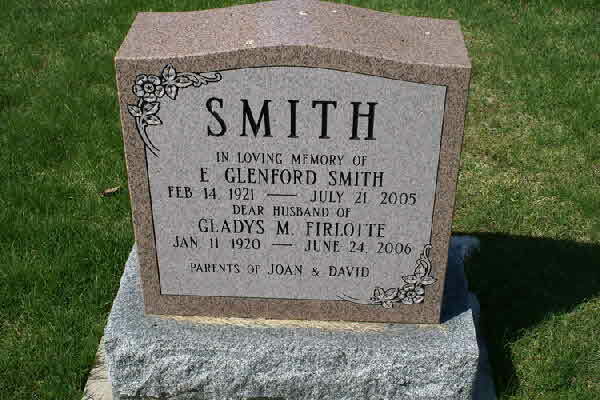 Marriage* Edna Fay Smith married Robert Oscar Jackson, son of Alfred Jackson and Pearl Anna Kennedy, on 2 March 1935 in Windsor, Essex County, Ontario, Canada. 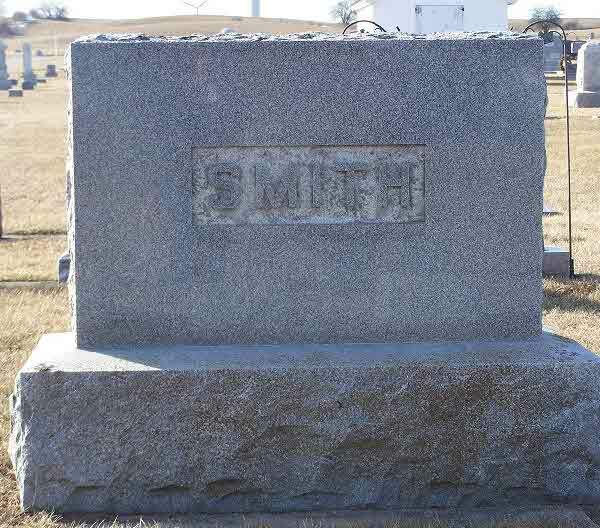 Death* Elizabeth (Eliza) Smith died on 16 January 1923 in Sheridan Twp., Huron County, Michigan, United States, at age 62. 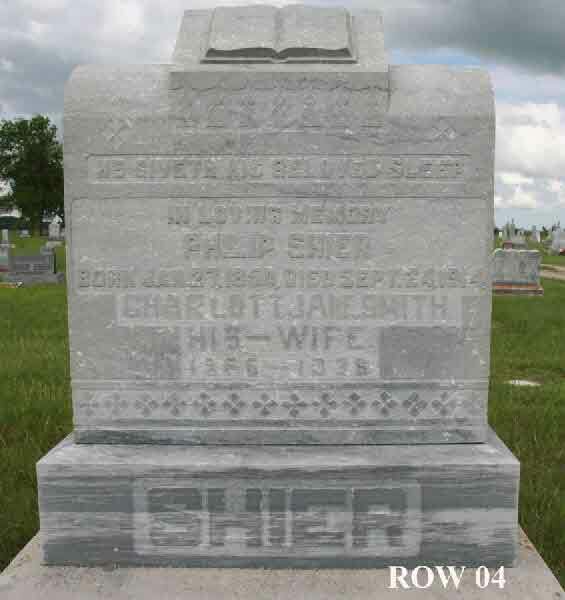 Death* Ella J. Smith died on 17 May 1950 at age 82; Ella Smith, 82, of 2070 Madison Av., SE, who taught the fifth and sixth grades at Hall school 24 years until she retired in 1939, died Wednesday in Blodgett Memorial Hospital after a three-week illness. She was born in Huron county and taught shcools there before coming to Grand Rapids 35 years ago. She taught at Alexander school a year before going to Hall school. 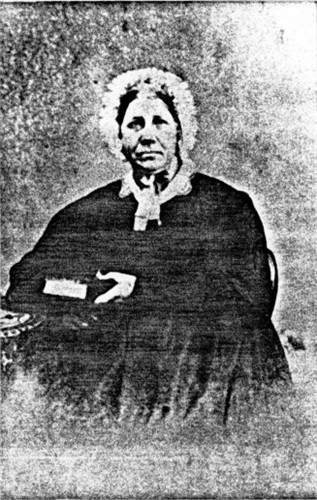 Miis Smith was a member of Westminster Presbyterian chruch and its Central circle and Women's Evening club and the Peninsular chapter of the Order of Eastern Star. 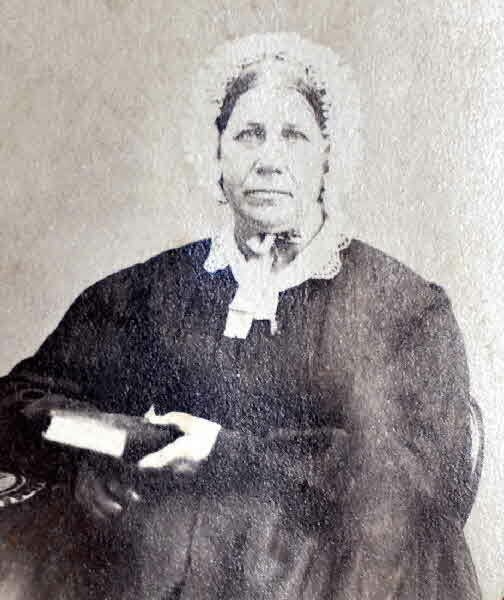 Surviving are four sisters, Rebecca Smith of Grand Rapids; Mrs. H. C. Houvener of Cambridge, Ohio; Mrs. H.H. Scott of Royal Oak and Mrs. F. L. Harrison of Bad Axe and two brothers, Archie B. of Grand Rapids and D. W. Smith of New York. Funeral services will eb held at 3:30 PM Friday in the Metcalf chapel with rev. Paul Markham officiatin. Burial will be in Rosedale Memorial park. 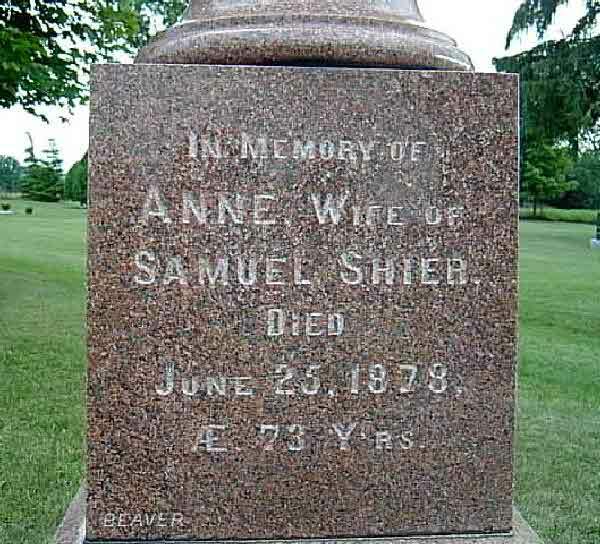 Burial* She was buried in Oakwood Cemetery, Saginaw, Saginaw County, Michigan, United States. 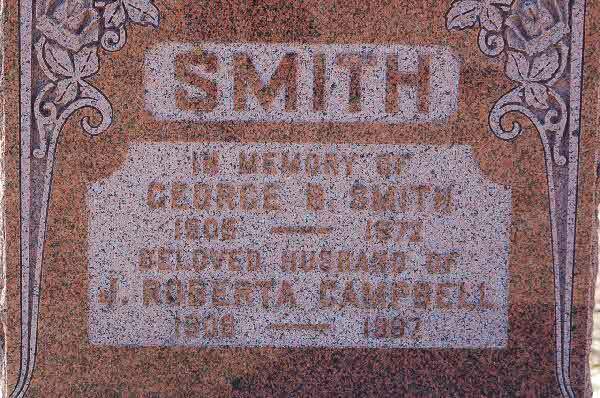 Marriage* George Smith married Elizabeth Shier, daughter of Joseph Shier and Catherine Corneille, on 23 November 1887 in Parish of Askeaton, County Limerick, Munster, Ireland. 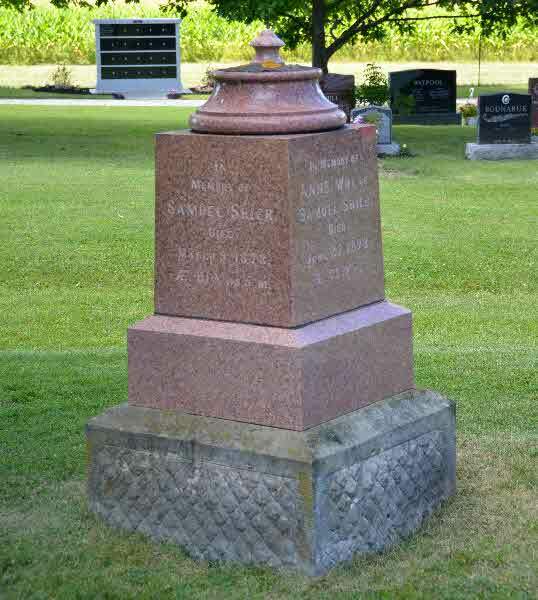 Burial* He was buried in Mount Pleasant Cemetery, Sarawak Cemetery, Grey County, Ontario, Canada. 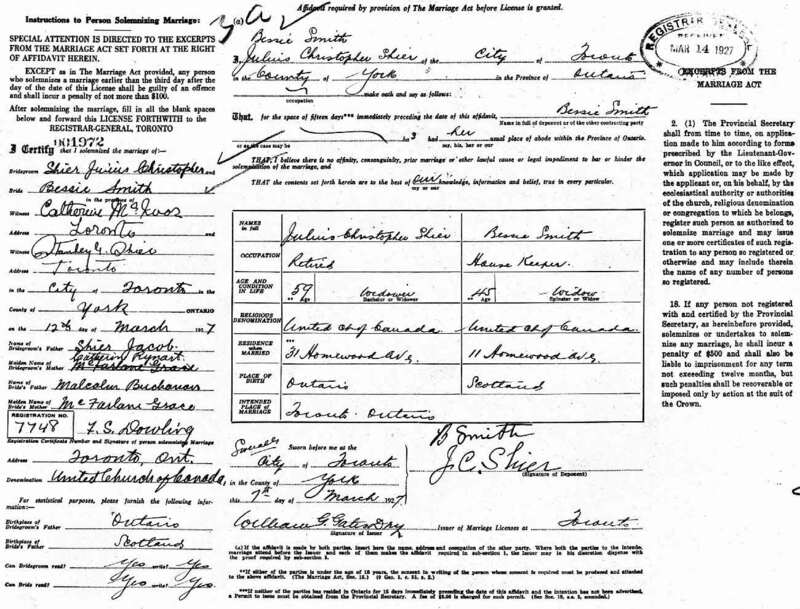 Marriage* James Alexander Smith married Mary Jane Harman, daughter of William Henry Harman and Eliza Ann Rynard, on 18 November 1914 in Scott Twp., Ontario County, Ontario, Canada. Burial* He was buried in Sandford Community Cemetery, Scott Twp., Sandford, Ontario County, Ontario, Canada. 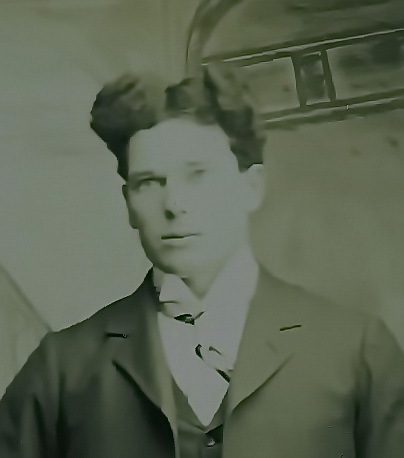 Census* Jesse Martin Smith appeared on the census of 1916 in Souris, Brandon District, Manitoba, Canada. 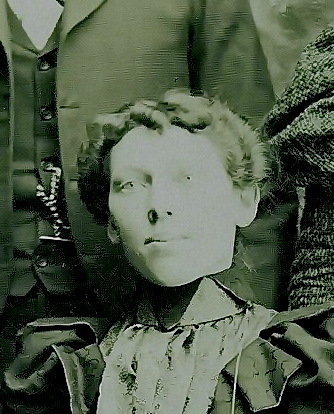 (Witness) Census Jessie Mae Smith appeared on the census of 1916 in the household of Jesse Martin Smith in Souris, Brandon District, Manitoba, Canada. Death* John (Jack) Kirk Smith died on 26 October 2014 in Birch Lodge Personal care Home, Hamiota, Manitoba, Canada, at age 98; Our father, grandfather, great grandfather and brother, John (Jack) Kirk passed away peacefully at Birch Lodge Personal Care Home in Hamiota. MB on Sunday, Oct. 26, 2014. 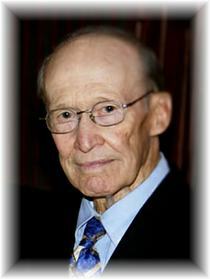 Jack lived a long and healthy life to the age of 98 years. He will be greatly missed and lovingly remembered by his four children. Allan (Marlene), Ron, Marilyn (Bill) and Sherry along with his seven grandchildren, Kent (Yvonne), Michael (Kim), Kimberly, Shannon (Kevin), Megan (Jason), Kyle (Chantal) and Wyatt. Jack was also a great grandfather of two energetic little girls, Kennedy and Mikaela. Other family members left to treasure Jack's life are his sisters Alice Johnston of Brandon, Velma Smith and Olive Smith of Winnipeg as well as many nephews and nieces. married Margaret May Adams and had been married for over 59 years at the time of Peggy's passing in June 2010. 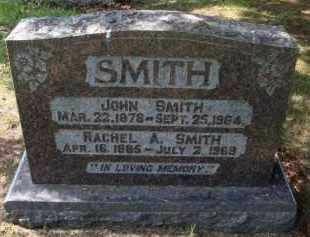 Jack was also predeceased by infant grandson Mark Smith, parents John and Rachel Smith, sisters Pearl (Cecil) Kidd, Rena (Buzz) Smith, Eileen (Everett) Tennant and Margaret (Lorne) Caldwell and by his brothers Newton (Betty) and Herb (Vi) Smith. 's life was filled with lots of activity, hard work and fun. He was one of 10 children who grew up on a farm near Crandall, MB in a time when most things were homegrown and homemade. Being a farmer was in his blood, so when he finished his schooling, Jack worked with his father for a number of years and took over the homestead when his parents retired to Hamiota. In November 1950, Jack and Peggy were married and began a life long journey. Together they built a great home and a wonderful life for their family. After many successful years working as a farmer, he and Peggy were able to retire to Hamiota in the fall of 1983. Retirement didn't slow him down; he was quite active in the community and was involved in many of the senior activities held at the hall. A family man to the end, Jack enjoyed being with his family and celebrating special occasions. He was in great spirits when we celebrated his 98th birthday on Sept. 6. A service to celebrate Jack's life was held on Saturday. Nov. 1, 2014 in the Hamiota Community Centre at 2:00 p.m. officiated by Rev. D. Martindale. Kent Smith, Jack's grandson, acted as urnbearer with Campbell Funeral Home making the arrangements. lieu of flowers donations can be made in Jack's memory to Birch Lodge Personal Care Home Equipment Fund or the charity of your choice. not stand at my grave and weep, I am not there, I do not sleep. I am a thousand winds that blow, I am the diamond glints on snow. I am the sunlight on ripened grain, I am the gentle autumn rain. When you awaken in the morning's hush, I am the swift uplifting rush. Of quiet birds in circled flight, I am the soft stars that shine at night. Do not stand at my grave and cry, I am not there, I did not die. -Written in 1932 by Mary Elizabeth Frye. families of the late Jack Smith wish to express their deepest appreciation to the doctors, nurses and staff of the Birch Lodge Personal Care Home for the wonderful care and support given to Jack during his stay. 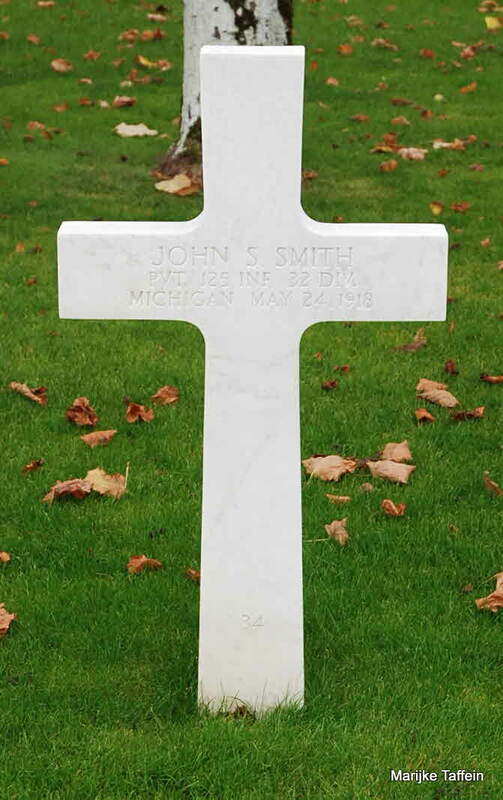 Burial* He was buried in Romagne, France; John Sylvester Smith was buried in Plot D, Row 46, Grave 34, Meuse-Argonne American Cemetery, Romagne, France. 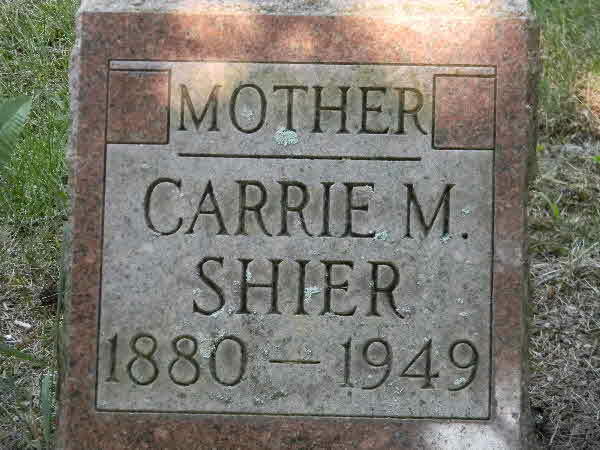 Burial* She was buried in Crystal Springs Cemetery, Benton Harbour, Berrien County, Michigan, United States. 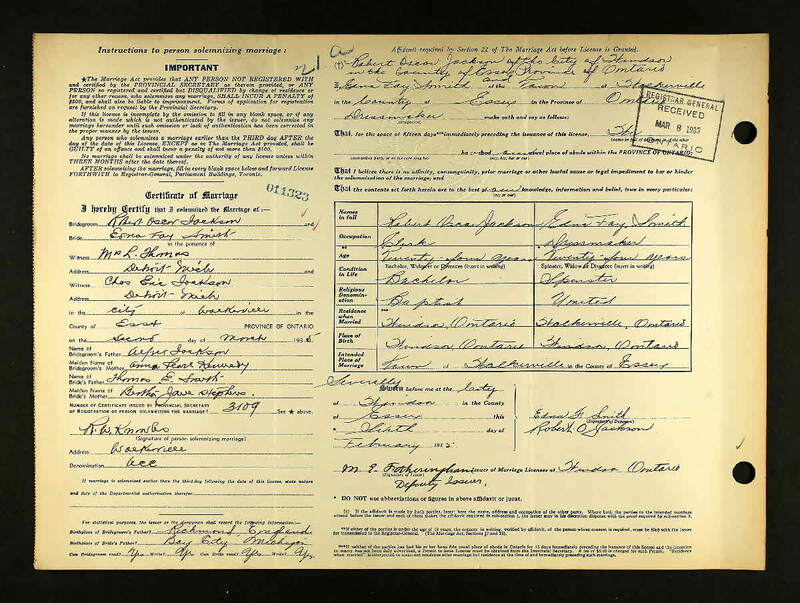 (Witness) Census Louis Edward Smith appeared on the census of 1916 in the household of Jesse Martin Smith in Souris, Brandon District, Manitoba, Canada.